Recent European Commission studies recall the urgency of promoting new and more robust Small and Medium-sized Enterprises (SMEs), due to the rise of enormous global markets and the emergence of a new industrial system originating from the distinctly different business culture of the Far East. A "road map" for the survival of SMEs in Europe must be based on an accurate analysis of the most significant causes behind the weaknesses of SMEs. Several research projects conclude that SMEs must join together to create "networks". Yet the majority of the existing networks suffer from a lack of real coordination: it is clear that a method for analyzing the governance of the network and its collaboration efficiency is essential for assuring effective performance. 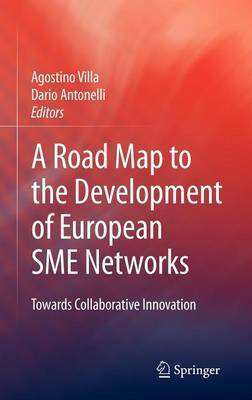 "A Road Map to the Development of European SME Networks" addresses this task: describing the method of analysis, allowing comparisons to be made between SME networks in different European countries, and providing information on a supporting web site.